Up and at ’em, brothas! 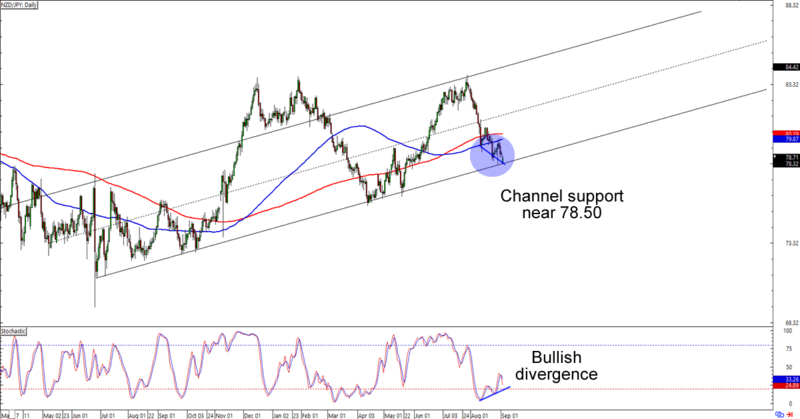 Hit the ground running this week with these hot forex channel setups on EUR/USD and NZD/JPY! As you can see, EUR/USD has just retested the 1.1850 minor psychological handle, which is right smack at a rising channel support. What makes the level interesting is that it’s also near the 200 SMA on the 1-hour time frame. Think the euro will see another bounce against the dollar? Buying at current levels could get you a nice risk ratio especially if you aim for the previous highs above 1.2000. But if you’re no fan of the euro, then you could also wait for a break below said support levels. The 1.1825 handle is the immediate area of interest you should pay attention to but the 1.1725 zone also looks hot for a profit target. Watch this one closely, will ya? Don’t feel like trading the scrilla today? I got yo back with this uptrend on NZD/JPY! The pair is lollygagging around the 78.50 area, which happens to line up with a channel support on the daily time frame. 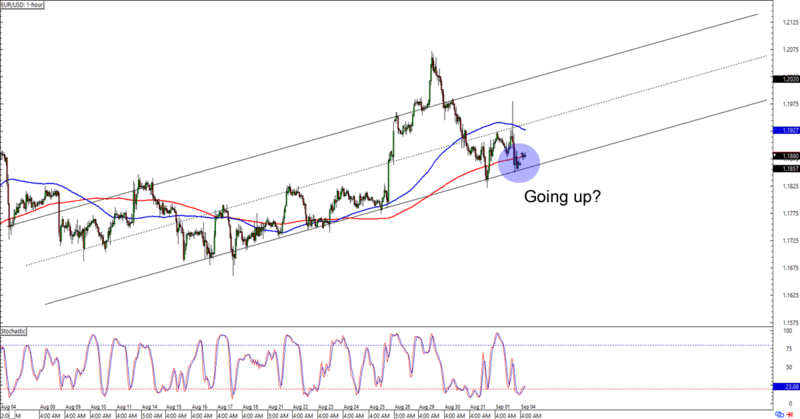 Not only that, but there’s also a bullish divergence on the chart! Kiwi fans can take advantage of the divergence and buy at current levels. If you’re not sure about the pair’s direction, though, then you could also wait for a bit of momentum before jumping in. In any case, make sure you use wide stops and practice good risk management decisions when trading currency crosses like these. Remember that they tend to see more volatility than the majors!